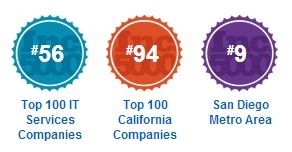 Cloud9 Named to INC 500|5000 Ranks! Cloud9 Real Time has been recognized as one of America’s fastest growing private technology companies by Inc. in the magazine’s 32nd annual awards. 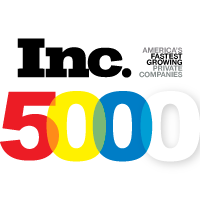 Started in 1982, the INC-500|5000 is a prestigious list of the nation’s most successful private companies and has become a hallmark of entrepreneurial success. Cloud9 Real Time is an Accredited Managed Service Provider delivering dynamic Cloud Solutions for Anytime, Anywhere access. Licensed by both Intuit and Sage for Commercial Hosting Cloud9 offers a customized, privately labeled all-in-one virtual office solution. Voted Best Hosting Company by CPA Practice Advisor Readers in both 2012 as well as 2013, Cloud9 Real Time provides clients a secure and private cloud solution. On the forefront of cloud computing and giving users access to their Applications, Data and Exchange services in one central location, Cloud9 Real Time offers QuickBooks hosting as well as custom virtual server creation. The Cloud9 Virtual Server solution is award winning, notably being recognized with the 2013 Sleeter Awesome App Award, 2012 UP Award, and the K2 Enterprises Quality Award. Never charging for storage, IT or maintenance, get your business on Cloud9 today! Visit us at www.cloud9realtime.com to learn more.